Life does not always happen as planned. There are a lot of uncertainties, you may encounter an unexpected situation that demands to fund. We know all these, and that is why we have made loans simple for you. These emergencies hit you hard, and you would need to fall on some source of funding to stand back on your feet. Emergencies come in different forms; talk of that unexpected injury that requires immediate treatment, the surprise roof leakage, or that ‘middle of the road’ vehicle breakdown. The list is endless. No matter how well you prepare for life, some of these things can still come as a surprise. This is where we come in to make things easier. We connect you with lenders who are ready to fund your loan request. These lenders will present their emergency loan help offers to you after analyzing your application. 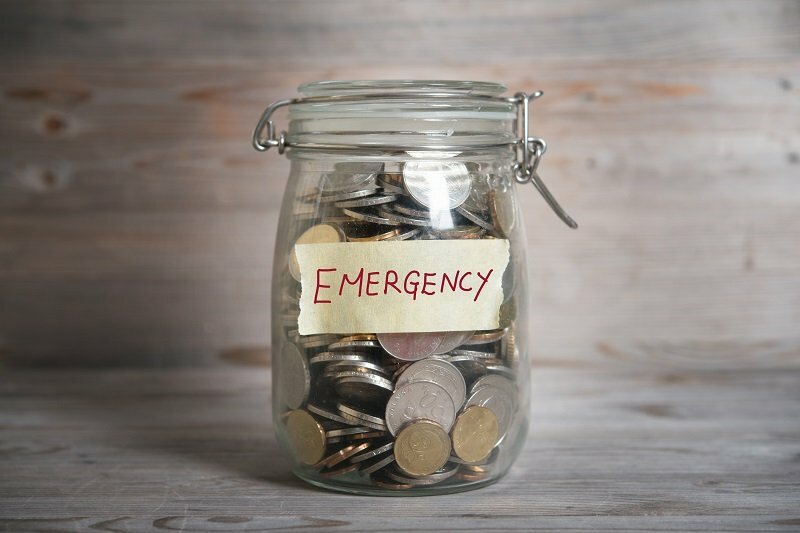 What Do I Need To Qualify For An Emergency Loan? You do not need to meet a host of complex requirements to qualify for an emergency loan. You need some basic requirements to qualify. You should be a citizen of the United States. You should also have an active bank account and a valid U.S identification card. We would also want to check your capacity to repay the loan so we would request that you also present proof of steady source of income. Most importantly, you do not need collateral to access these loans. Whatever your emergency is, you would get solutions that are tailored for your demands. If you have a low credit score, do not let that deter you from accessing a loan. You can obtain the loan from the comfort of your home. Just complete the online application form and submit. We care about your privacy too. Our website is safe, and your information with us is secure as well. Do well to present valid information to facilitate the application process. It is easier to get a loan approval when you submit accurate information. Visit our website at any time to complete a loan request form. We would get in touch with you sooner than you expect. You would have the luxury of choosing from the offers made by the lenders. Be sure to select an offer that suits your needs. If you are not clear with anything, ask the lender who would clarify all the terms for you. Be sure to acquaint yourself with the conditions and terms before accepting a lender. When this is done, the lender you have chosen will proceed with the loan request process. You will only need to sign electronically when the loan is approved. You would receive the cash through your bank account as soon as the next business day. There are no limits on how to use the money. The amount you would be approved for cannot be pre-stated. There is no complicated paperwork since we know how stressed you already are. We also connect you to direct lenders; there are no brokers who would increase the costs of accessing that emergency fund. When and How Do I Pay Back My Loan? These emergency loans are short-term loans, and the repayment schedules are not as flexible as long-term loans. Your lender would discuss the repayment schedules with you. You do not need to go to any office or agency when you are ready to pay back the loan. Lenders offer you the flexibility of paying through a bank account when you are prepared to repay the loan. There are options also to debit your account directly. In this case, you do not have to stress over how to repay your loan. Lenders will discuss the repayment schedule with you and allow you to choose the most convenient method for you. It is always recommended that you repay the loan in due time so that you can build a good reputation with the lenders. This will also make it easier to access emergency cash when you next need it. There are no hidden fees, and the interest rate would be made known to you before the loan request process is completed. The administration fees will also be made known to you in the course of the application process. This does not happen but, if your lender has not discussed the rate with you, be sure to ask. All lenders make sure the loan requester agrees to the rate and fees before they continue with the process. 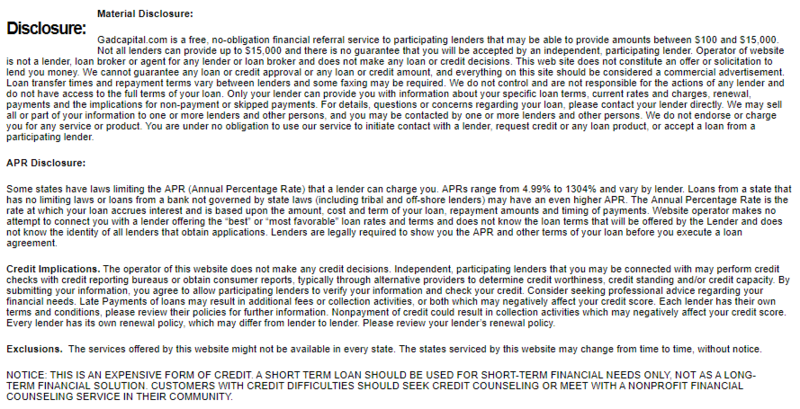 We are not lenders. We connect you with lenders who would facilitate your loan application. We cannot guarantee that your loan will be approved even though most loan applications are often approved. We do not have any influence on the application process. Lenders have their terms and conditions, and it is important that you read them. This entry was posted in Online Loans. Bookmark the permalink.